God said to Jacob, “Arise, go up to Bethel, and settle there. Make an altar there to the God who appeared to you when you fled from your brother Esau.” So Jacob said to his household and to all who were with him, “Put away the foreign gods that are among you, and purify yourselves, and change your clothes; then come, let us go up to Bethel, that I may make an altar there to the God who answered me in the day of my distress and has been with me wherever I have gone.” So they gave to Jacob all the foreign gods that they had, and the rings that were in their ears; and Jacob hid them under the oak that was near Shechem. In 2000 years, I am not aware of any given time that Christians were not persecuted for their faith somewhere in the world. Today we often think about Islamic extremist groups, but Christians have been persecuted by Jews, Hindus, Buddhists, Pagans, Atheists, and in some of the worst cases – by other Christians. Sometimes it occurs between differnet denominations or church affiliations. (For a good example of this, see the history of Ireland.) Other times it is more personal. Within the last week, two different people have told me that if you are experiencing conflict in the church, it is a sign that you are doing something right as a pastor. There is something to be said about challenging others to grow and being more than just a “people pleaser”. My own personality seeks the creative growth that occurs in conflict resolution, not the drama of the conflict itself. We don’t live on persecution, but we live in a world that does not understand God. Jacob faced persecution in part as a consequence of his own deceitful actions against his brother. This particular passage though points out the unique presence of idols as a factor in his search for freedom and providence. He was trying to reach his own Promised Land and they riches and items used for worshipping false gods were slowing him down. He commanded them all to be buried away, his own and those of his servants and family. We are persecuted enough as it is, we do not need to add insult to injury by taking the idols of others. While many missionaries have gone into foreign countries and done just that (which sometimes constituted an act of war) you may notice that Paul and the other disciples did not mess with the idols of others except in one occasion where Paul cast out a spirit of a slave girl selling idols – and wouldn’t you know, Paul faced immediate persecution for it. Persecution is promised to us. 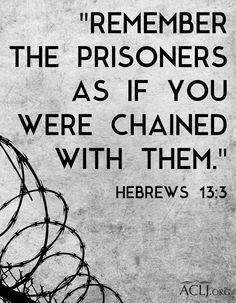 Trying to escape persecution is like trying to escape God. It doesn’t work. However, we are not called to simply lay down and die. We are called to stand as witnesses of God’s mercy and grace. Whether we find miraculous deliverance, as the Apostles did numerous times in prison, or are forced to flee to the next town like Paul in many of his journeys, we are called to invited others, even our persecutors, to receive God’s mercy and grace. If they reject that invitation then we move on. There is a time that each of us will face a final suffering, which may come in the form of persecution. In this moment, we do not follow the example of Jacob or the Apostles, but instead we follow the example of Jesus Christ Himself. Our deliverance on that day will not come in the form of physical rescue. It will come in our shaking off our mortal flesh and being reunited with our Lord and Savior. That is the day we fear the most in our flesh, but desire most in our spirit – the greatest deliverance of all. Persecution is an integral part of our story. It is only in the darkness that the light is most noticed and most needed. Where do you see persecution in the world today? Where do you face persecution for your faith?